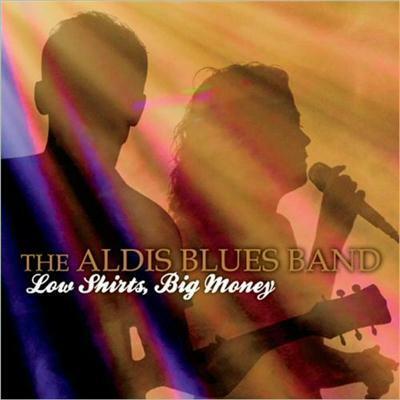 The Aldis Blues Band - Low Shirts, Big Money (2014) | Free eBooks Download - EBOOKEE! Posted on 2014-03-25, by supnatural. The Aldis Blues Band is a popular blues club act, hailing from upstate New York, playing both original and cover material that spans traditional as well as contemporary styles. With front man Janet Lemesis, the vocals are super smooth and soulful. Guitarist and founder Aldis Lemesis delivers great guitar work with a truly individual touch. Freetime Magazine credited the band with being "... sultry....something for everyone" accolades. This album is the 2nd release, with "Mosquito Water" debuting in 2003. This latest CD, "Low Shirts- Big Money" is a compilation of the band's favorite covers played to audiences in clubs over the past several years. While the back-up musicians have changed over the years, the Aldis Blues Band has maintained a format that features bass, drums, piano, harmonica, and sometimes sax to the mix. At times smooth and jazz centered, such as Ray Charles' "Roll with my Baby", to rowdier arrangements of Willie Dixon classics, the music just plain makes you want to dance and party far into the night. No comments for "The Aldis Blues Band - Low Shirts, Big Money (2014)".